On Saturday, April 13th from 8AM to 1:00PM, Crozet Park will host its sixth annual Pitch-in at the Park. This event brings together volunteers throughout the community and makes it possible to complete many of the Park’s 2019 maintenance activities. For each activity tools are provided along with any applicable instruction. Volunteers should bring work gloves, hat and sun screen. Water is provided. Lunch is provided to ALL volunteers. Parade and fireworks Saturday, starting at 5. 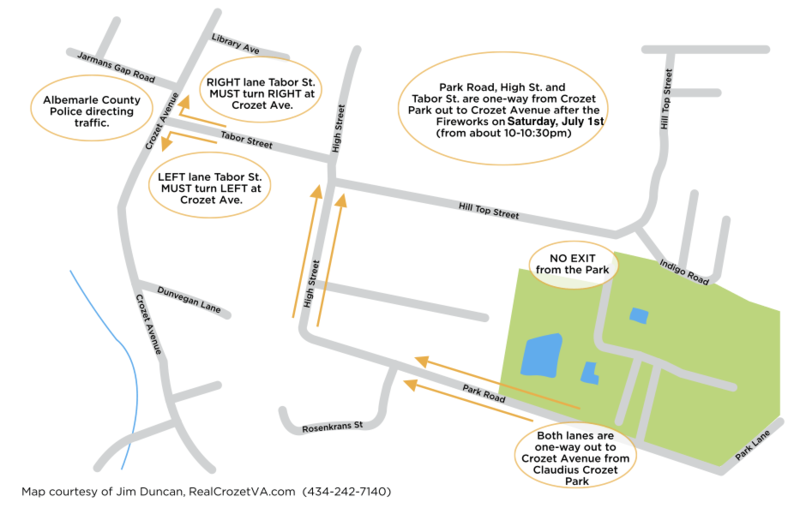 If you can walk or ride a bicycle to Crozet Park, please do; better for traffic and your health. The Crozet Arts and Crafts Festival is this weekend and we are still in need of volunteers!!! If you have just a couple of hours that you can volunteer this weekend that would be great! The Crozet Arts and Crafts Festival is May 12/13 at Claudius Crozet Park and we invite you to take part! Come set up the Festival, check in Exhibitors, sell tickets, pour wine and beer, and more – your time and dedication makes the Festival possible! Plus, you get free admission all weekend, just for donating a couple hours of your time! Please sign up to volunteer at the sign up genius. The Festival is held bi-annually as a benefit for Claudius Crozet Park, a registered non-profit owned and operated by the community of Crozet. Riding back from checking on a client’s new house, I thought I’d ride through Crozet Park. Looking great, I think. Lots of dirt moving at Crozet Park right now, as it continues to evolve as more of a destination park. 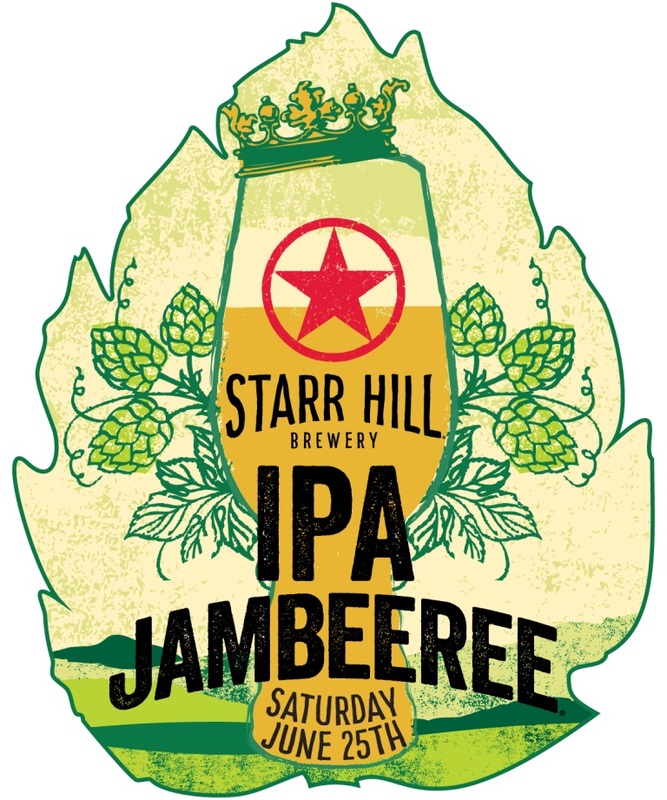 IPA Jamberee at Starr Hill 25 June 2016 – Benefiting Crozet Park! Please join the fun on Saturday, June 25th from 1-7PM for Starr Hill Brewery’s IPA JAMBEEREE at Hangar Park across from the Starr Hill Tap Room. Proceeds from every ticket sold and all t-shirt sales will be donated to Claudius Crozet Park’s “Play Crozet” capital campaign. This initiative will fund the building of a new pond-side amphitheater at Crozet Park. Buy a shirt here. 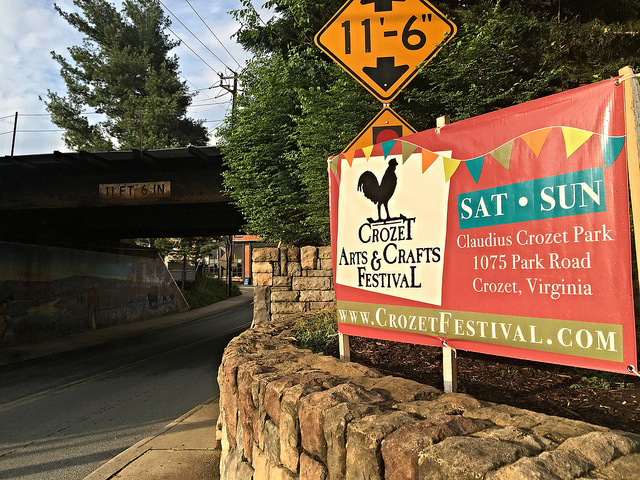 Fingers crossed for great weather for this weekend’s Crozet Arts & Crafts Festival! On Saturday, April 16th from 9AM – 4PM, Crozet Park will host its third annual Pitch-in at the Park event. This year’s event, sponsored by BB&T Bank, brings together volunteers and businesses throughout the community and makes it possible to complete many of the Park’s annual maintenance activities. Lunch is provided to ALL volunteers. Please sign-up to spend a half-day or full-day and feel free to participate in as many projects as you wish; no need to skimp! This is a significant effort and we need everyone’s help. Follow this link to sign-up.